Vanessa Riles is the Interfaith and Community Organizer at East Bay Housing Organizations. She is an Oakland native with a rich familial history and deep roots in Oakland and local politics. Vanessa is committed to social transformation and spiritual development. 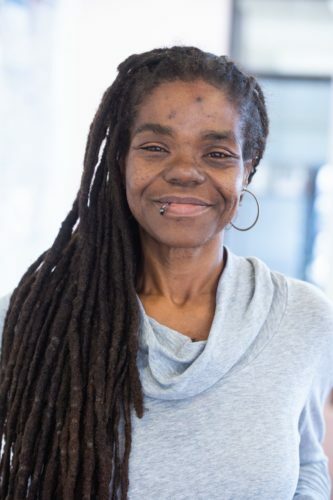 Vanessa has participated in direct actions, public advocacy campaigns, community forums, panel discussions, and various forms of civic engagement throughout Oakland to disrupt systemic oppression, protest the persistent and pervasive war on Black life, protect public interest, and hold space for spiritual worship. Vanessa’s social justice work is deeply rooted in her faith. She hopes to utilize her experience to enrich, expand, and engage EBHO’s Interfaith Communities United program.